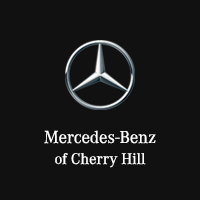 Mercedes-Benz of Cherry Hill has been a family owned business for over 30 years serving the Philadelphia and New Jersey region. We don’t see ourselves as just another dealership; we’re a part of the community and it’s important to us to treat our customers just like our neighbors. We live here too, and most of our employees are committed automotive professionals who have been with us for over 10 years. Why is that important? It means that when you visit us you can develop a relationship with our dealership, our salespeople, and our service team that can last for decades. It’s that kind of dependability and community focused approach that keeps our customers coming back. We also strive to give back to the community whenever possible. We donate money and time to Cooper Children’s Hospital every year, and we help raise funds for youth athletics and education, through the Building a Tennis Community’s Pro Tennis Classic. One more initiative we’re always involved in is the Smart Growth program, which supports community advocacy and growth. We do all of that because we depend on our local Cherry Hill community. We’re here to provide new luxury cars and used Mercedes-Benz vehicles, as well as expert service and support, but we can’t do that without our community. Visit Mercedes-Benz of Cherry Hill for a truly unique customer experience, and maybe you’ll find a long-term friend and ally in the automotive world. We’re located at 2151 Route 70 West in Cherry Hill, NJ, and we hope to see you soon.